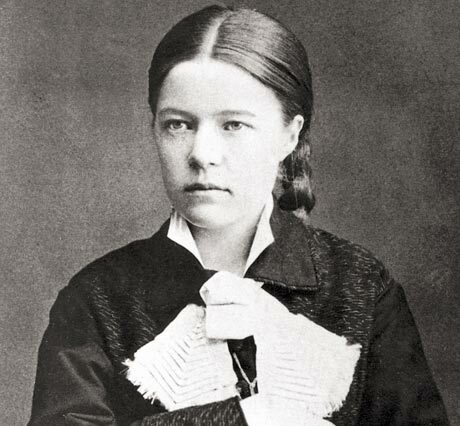 Swedish writer Selma Lagerlöf was the first woman to win the Nobel Prize in Literature in 1909. In 1914 she was the first woman elected to membership in the Swedish Academy. She is most well-known for her children’s book Nils Holgerssons underbara resa genom Sverige (The Wonderful Adventures of Nils), but she also wrote dozens of novels for adults. Her work is notable for the fact that it departed from the realistic fiction that was the dominant trend in Swedish literature at the time. Lagerlöf’s writing was heavily influenced by Nordic myth and the landscape of Northern Sweden, and can often be characterized as fantasy or fairy tale. Her short stories often blur the boundaries between dream and reality, and she frequently borrowed elements from fairy tales and Victorian supernatural fiction. Her life was shaped by her many intimate relationships with women; fellow writer Sophie Elkan was her lifelong companion. In the years leading up to the second World War, she was instrumental in helping German intellectuals and artists escape Nazi persecution. When Finland fought against the Soviet aggression during the Winter War, Lagerlöf donated her gold Nobel Prize medal for fund-raising to help the struggling country. Basically, she is an incredible writer and a super-rad lady, so you should check her out.